The hood that stands out from its competitors. When the view from the window is too beautiful to be blocked by a typical kitchen hood, Elica's Rise is a perfect solution since it can be hidden inside the surface of the cooktop. When in use, it rises to 14 inches from the hob (almost twice the height of competitors) ensuring greater efficiency to clean air of the kitchen. 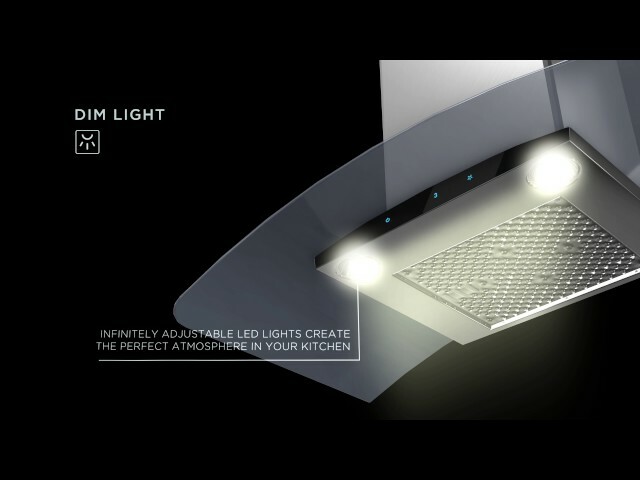 Rise also has Elica Perimeter Aspiration, which increases 35% aspiration capacity to make it the best downdraft hood in the market. Its powerful 600 CFM blower is controlled by an electronic disc and the hood hides completely inside the cooktop.